Non-stimulated hMSCs inside PGD-alpha2 hydrogel. Non-stimulated hMSCs inside PGD-alpha2 hydrogel. 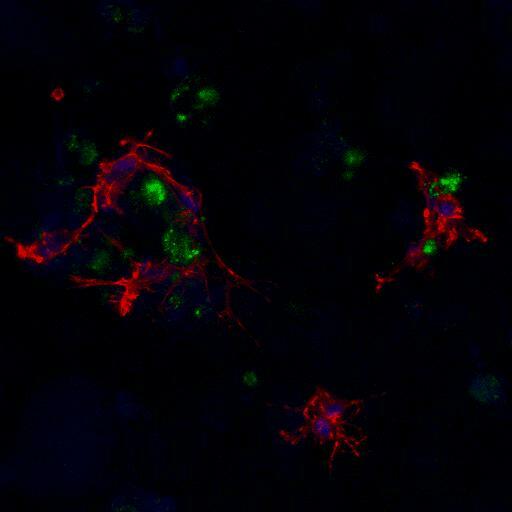 Cell nuclei (Blue fluorescence),F-actin filaments (Red fluorescence), Hydroxiapatite deposits (Green). From the work of Dr Castillo-Diaz, Polymers and Peptides Group, University of Manchester.